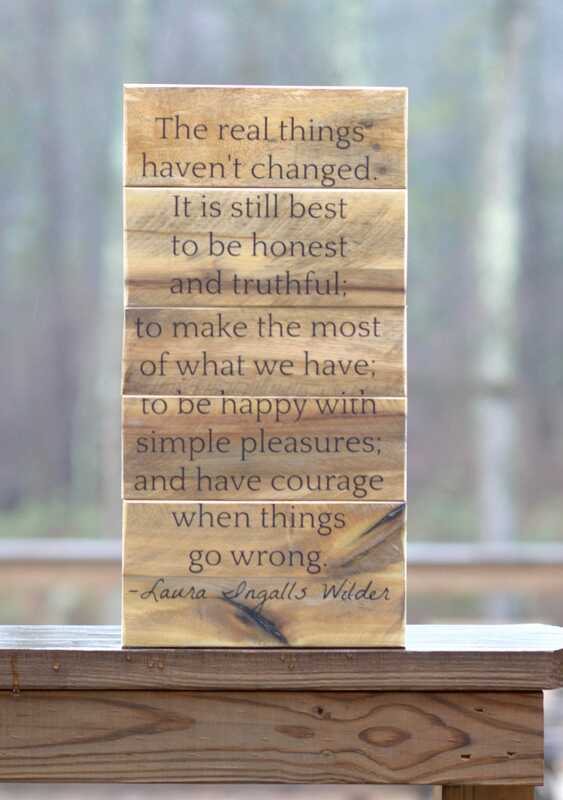 Laura Ingalls Wilder Inspirational quote on reclaimed pallet wood sign. This custom sign is made from reclaimed wood, each piece is unique, handmade and repurposed. Your sign will be finished with a satin poly to seal and protect. Hanging hardware is also included. 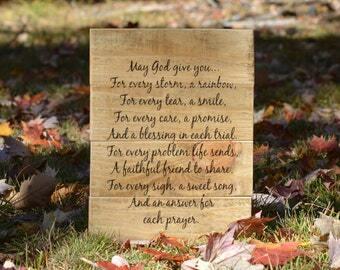 Size of wood piece is 10" x 20"
Customize with your own quote or lyrics. How to personalize with your quote? 1. 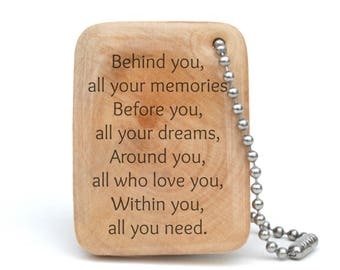 Add this listing to your cart and enter your quote or lyric personalization in the note section at checkout. Each piece of pallet wood is carefully selected, sanded down to remove dirt and debris while still leaving the unique character of each piece. I try to choose pieces that have some unique quality, knots, nail heads, if a knot falls out and leaves a beautiful hole in the wood, that is a prized piece and I will definitely incorporate it. Each of these pieces are made to order so each one will be completely unique and will be made with love. 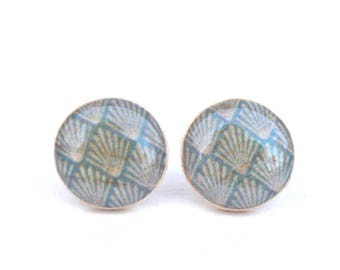 Black and white stud earrings Modern geometric earrings white studs black studs Wood studs minimalist studs Eco friendly jewelry. 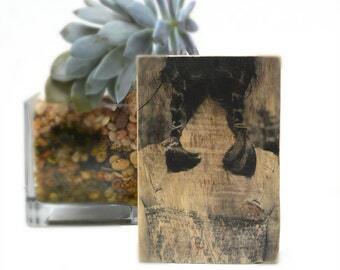 Wooden photograph, fathers day from daughter, fathers day from husband, Wood Portrait. 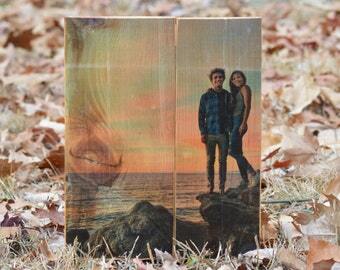 Wood Photo Transfer.